Black Overalls by Tom Donaldson is an all-American tale of home-grown heroism, set in the struggling farms of Texas during the 1960’s. We follow Roy, failed football prospect turned journalist, as he digs into the history of his football idols – and discovers the tale of an unexpected hero. The story takes us from backwater Texas counties, to the State championships, to the horrors of Vietnam, and beyond. We find two seemingly separate lives are more intertwined than we think, and that there’s not much a small town with a big heart can’t do. The comeback story has a universal appeal – you don’t have to know much about the game in question to appreciate the little guy standing up to the big team. And that’s exactly what this book is: a classic underdog story. Black Overalls oozes with heart. Tom Donaldson clearly cares deeply about his subject, about the setting, about old-fashioned American values. 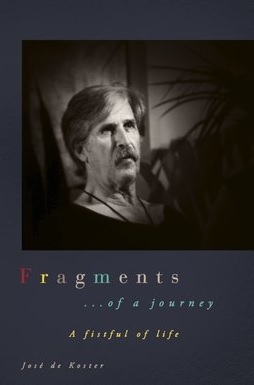 The book touches on era-appropriate controversies, particularly around race, which culminates in war-torn Vietnam. I have to admit, it’s not where I expected the book to go. But it gives the story a touchingly human element and a feel-good ending. It’s nice to read a book where there’s no shocking twist, no depressing revelation; just a happy ever after. Occasionally that’s to a fault – scenes can lack conflict sometimes – but you certainly come out of it feeling okay about the human race. This book is obviously a passion project for the author, but it struggles with a lack of proper grammar and punctuation. The pacing is sometimes confusing. The mixed perspective can occasionally jump between past and present without warning or context. And some chapters are often just technical descriptions of matches, venues, plays and lists of scores more comparable to Match of the Day. Despite the flaws, a need for an editor, and dry sports commentary, I enjoyed Black Overalls immensely. 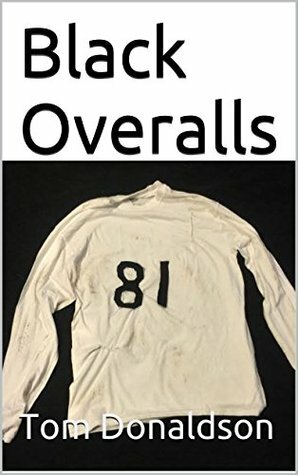 If you’re a football fan or just looking for a short, light read then I think you might just enjoy it too. Posted on August 4, 2017, in Book Reviews, Four Stars and tagged all american, amazon, amazon books, amazon ebook, american, author, author interview, black overalls, book, book review, books, ebook, ebooks, fantasy, fantasy book review, fantasy football, football, goodreads, historical fantasy, history, kindle, kindle book, kindle ebook, literature, love, match of the day, novel, publishing, reading, review, reviews, short stories, sport, sports, stories, texas, tom donaldson, urban fantasy, vietnam, writing. Bookmark the permalink. Leave a comment.